Initiators vs. Responders - I Love ABA! For the parent of a child with special needs, you learn to become many things. The child’s translator, the child’s safe haven, the one who “explains” the things the child does, a short order cook, etc. 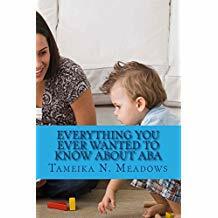 When children with special needs are young and pre-verbal, they do require lots of assistance and help and someone who knows the child very well is usually the mediator for that child to communicate with anyone. Mom and Dad are the only ones who know that the child disrobing in public means “I need to go potty” or that throwing their bottle out of the crib means “More, please”. This is a natural and important step in the relationship between parent and child. At some point this natural tendency for loving parents to step in and make things easier for the child can actually become a hindrance to learning and development. Similar to prompting, constantly stepping in to read your child’s mind and give them what they want can kill any motivation the child may have to communicate. 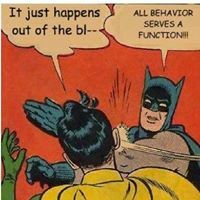 That’s how behavior works. As humans, we tend to reach for the easiest option. When working with my clients, I often walk into situations where it’s glaringly obvious that while the parents adore and love their child, they have made life for the child WAY too easy. For example, a parent telling me how she wants her child to be more independent as I watch her spoon feed her 4 year old. Things that make you go, "Hmmmmm......"
I do understand that all of this care and involvement comes from a place of love, and likely started as a necessary response to a child with many serious deficits. However at some point as parents and professionals, we have to start taking steps back and expecting the child to be more independent. I haven’t met many parents who tell me they want their child to be more dependent..….its usually the exact opposite. If you want your child to be more independent, then first examine if you are helping the child depend on you too much. The child is hungry, so they seek out an adult and mand for food (e.g. “Cookies please”). The child is hungry, so they begin to whine and display irritable behaviors. After some time has passed, someone figures out that the child may be hungry. The child is bored, so they turn on the TV and sit down to watch. The child is bored, so they follow Mom or Dad around the house begging to be picked up. It is then up to Mom or Dad to entertain the child. Dad forgets to give the child juice with their snack. The child makes eye contact with Dad and points to the refrigerator, to request juice. Dad forgets to give the child juice with their snack. The child bursts into tears and refuses to eat. A child who is a responder will depend on others to get needs met, or they will use behavior to communicate a need. These children rely on adults to read their mind and determine what they need. This often leads to a lovely game that I like to call “Guess what I want!”, as Mom or Dad frantically try to figure out how to get the child to stop crying, or engaging in some other problem behavior. A child who is an initiator will either attempt to meet needs themselves, or they will use communication to request an adult help them. The child is able to use communication (either vocal or nonvocal) to express what they want in a way that multiple people can understand. The goal when teaching a child with Autism is always to strive for more than what the child is currently doing. Depending on what a child is currently able to do, there is always a way to help the child gain more independence with that skill. A very common example of initiators vs. responders that I see often deals with toilet training. I have had parents tell me that their child is completely toilet trained. Then I ask how the child indicates they need to use the toilet. If the parent answers “I don’t know” or “We can just tell”, then no….that child is not fully toilet trained. If your child just gets up and silently goes to a bathroom, then what happens when you are in public? If you are in a crowded mall, how does your child let you know they have to go potty? If you left your child with a babysitter, would that person be able to tell that your child needs to use the bathroom? Being fully toilet trained means being able to inform adults of the need to use the bathroom, as well as being able to request the bathroom in an unknown place. Helping your child move from being a responder to an initiator will help them become more independent, and initiation is a critical life skill for success in school, with peer groups, and many other important domains. Here are some helpful tips for making life just a little bit harder for your child with Autism. Don’t be afraid of independence: I know it might be hard to let your 3 year old use a knife to cut his hot dog, or to teach your 6 year old how to unbuckle his seatbelt. You can encourage independence in a safe way and within boundaries. Just because your son can unbuckle his seatbelt doesn’t mean its okay to do so as you are driving down the highway. Teach boundaries and limits, even as you increase your child’s independence. Play dumb: This is the simplest way to start slowly decreasing the amount of assistance or prompting you provide. When your child comes up to you whining or crying with outstretched arms, look at them quizzically and act as if you don’t understand what they want. Depending on the ability of the child, prompt them to communicate via language, PECS, pointing, etc. For example, require the child to say “Up” before you will pick them up. Crying, pulling on your pants, or kicking your leg, should not be reinforced. Stop anticipating your child’s needs and acting on it, and instead pretend as if you don’t understand what they want so they will be motivated to try something else. Slow down: Parents often tell me it’s easier to just dress the child, wash the child’s face, or feed the child breakfast. I know it’s easier and saves time, but in the long run it is making the child too dependent on you. Accept that sometimes you will be late. Yes, you might have to wait 15 minutes for your child to put on their shirt, or it may take a full tantrum to get your child to brush his teeth. Sometimes you have to make immediate sacrifices in order to reach a long term goal. Start small, such as giving your child a bowl, spoon, and no cereal. Using communication at the level of the child, prompt them to request the cereal. Even if this takes 10 minutes out of your morning routine, in the long run you are teaching your child to be an initiator. Tell the child’s teacher that you are working on independence in the morning routine, and your child may be late to school for a few days. I’m sure if you explain it the teacher will understand, and possibly even help you reinforce the skill in the classroom. Wait: This isn’t just difficult for parents; I am guilty of this too. Sometimes we want to help the child be successful so much, that we are too quick to provide prompting or assistance. We give a demand, the child doesn’t respond, and we immediately jump in to provide a prompt. The problem with this is over time it can cause the child to become prompt-dependent, and to remain a responder instead of being an initiator. The next time you give a demand to your child, try waiting 10 seconds for them to respond. I know that sounds like a lifetime, but some children with Autism have auditory processing issues, so they need to process what you said and select a response before they can begin to comply. I wouldn’t suggest doing this all of the time, but it’s important not to make a habit out of jumping in and helping your child. If you have just told your daughter to tie her shoes, sit down next to her and wait a full 10 seconds before giving any prompts. See what the child does with that time. Does she just sit and stare at her shoes, or does she start attempting to put them on? You might even see the child look over at you, and reach for your hand for help. That’s great! 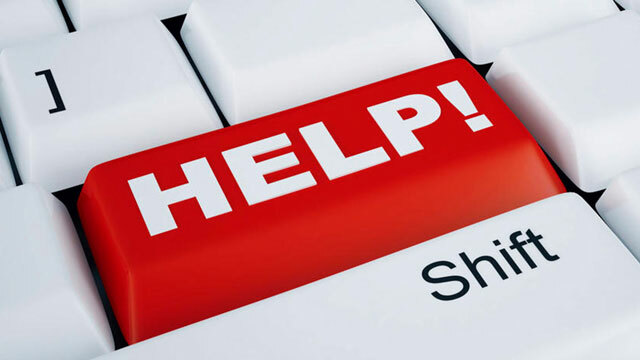 That is an opportunity to teach a type of request, such as “Help”. It’s important to let the child try before hastily jumping in to help.